25 days ago, a lightning storm sparked countless wildfires in northern California. From my deck, I could see at least eight fires. These fires have all grown together, and now we have mega fires ravaging our forests. My life has been consumed by fire, not literally of course, but it is hard to focus on anything else. I am constantly monitoring the fires near my home, speaking with neighbors, attending community meetings, and giving out our wifi password to firefighters so they can check in with their families. I am grateful for the resources and boots on the ground doing all they can to save our forests and homes. 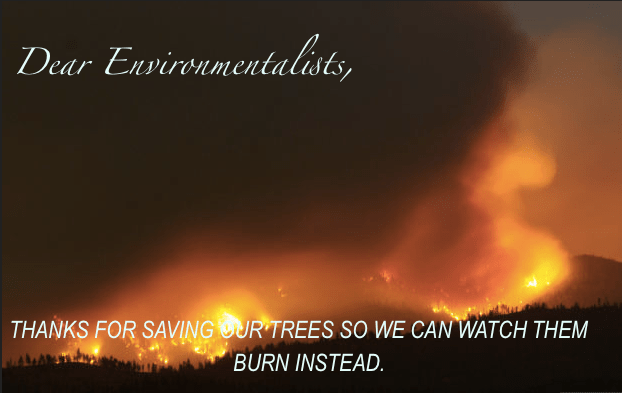 In the past week, I have come across several Facebook friends posting fault for the size and immensity of these wildfires on environmentalists. 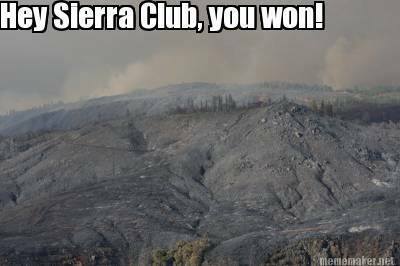 Misguided blame for California wildfires. I don’t have the heart to engage these friends one-on-one in a conversation about this misguided blame. Our communities have been under so much stress. It’s not a time for divisiveness; but I don’t think they understand the true causes of our current situation. 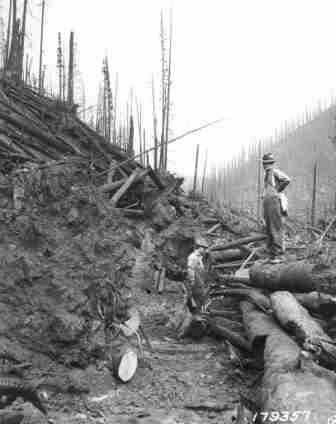 Logging and fire suppression are historically connected. The reason our forest burn hotter and with more devastating consequences is because of the mismanagement of our public lands. This began with fire suppression and logging. It is true that logging is pretty much non-existent on the public lands in my neighborhood. Sometimes salvage sales occur after fire, but the market is flooded. Salvage sales currently would cost more to conduct than would be earned, thus the USFS will can expect dead snags ti remain when these fires are out that will make it more dangerous the next time fire comes around. When wildfire naturally hits a mature forest, it is largely beneficial. The undergrowth is removed and the mature trees remain. These sorts of fire are much easier to manage, as they are low and slow burning, and communities are better protected. Unfortunately, most of our forest communities are no longer surrounded by mature forests due to logging. 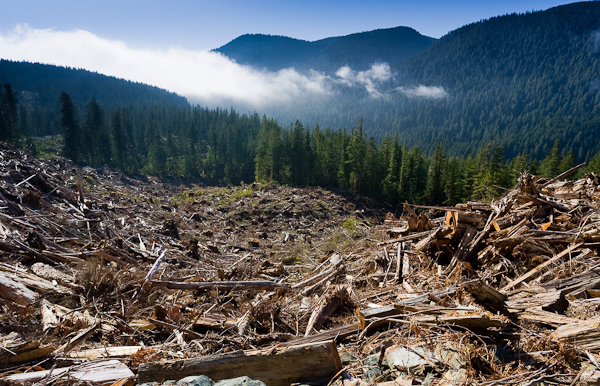 What does a forest look like after logging? Clearcuts leave behind large piles of slash and plantations of monoculture. Selective logging is better, but it is focused on merchantable timber and will not decrease the density of our forests other than removing the more mature trees, trees that can withstand fire. Loggers do not remove the brushy fuels that are first to ignite and spread during wildfire. They are harvest merchantable timber. They don’t want the manzanita, ceanothus, madrones, or oaks. Yes, we need lumber. Logging is necessary, but to blame the current scope and tragedy of the western wildfires on environmentalists is misleading. Mismanaged forests is the real cause. Environmentalists are in favor of healthy forests. We created our fire problem, and virtually everything we’re doing to combat it only makes it worse. 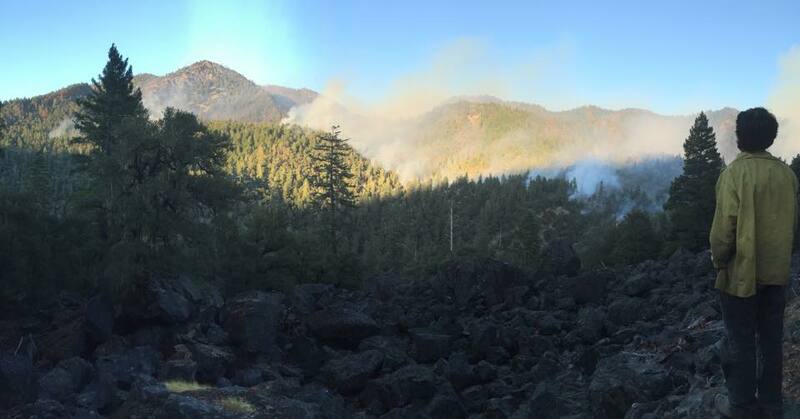 Don’t get me wrong…when fire starts near our mountain home, I am thankful for fire suppression efforts. We take fire preparedness seriously maintaining defensible space, putting in our own dozer lines, and supporting firefighters however possible. We need to make the larger forest ready, not just our homes. Thank you fire fighters! First, the people writing this article are the eco people and should be put out to pasture. Second, the US Forest REQUIRED clear cutting,,and they are dead WRONG. Third, I don’t see the forest after years of SELECT CUTTING and what the forest should look like. Fourth, My family was logging in Calaveras County from 1938 until the eco shut the mill down in 1963. We had some 80,000 acres to log and never run out of trees. FIFTH, clear gutting was enforced to ruin the forests and show the public the waste left behind to support their agenda.